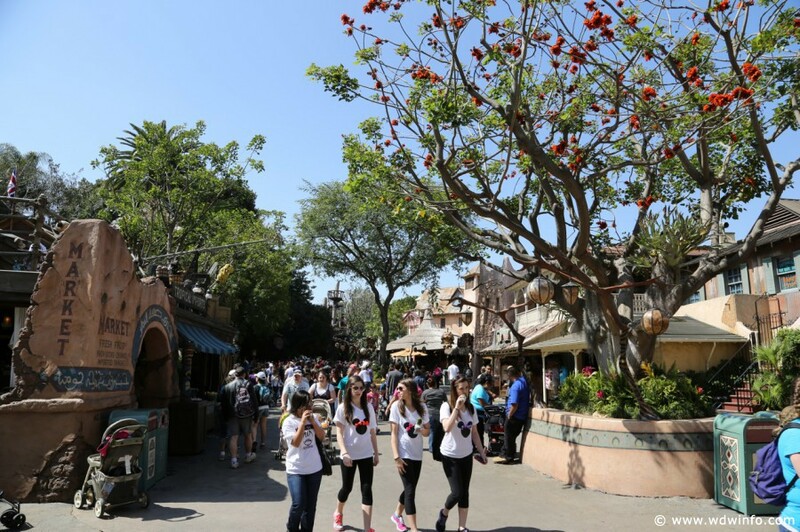 Walk into Adventureland from the hub and you slowly start to hear the Main Street U.S.A. music drift away and the Adventureland music loop get louder. The foliage starts to change, as if you are in a distant jungle. Look down at your feet and you realize even the ground has changed and the walkway is made of wood. You are literally transported to a different land, a land of adventure and exploration: Adventureland. 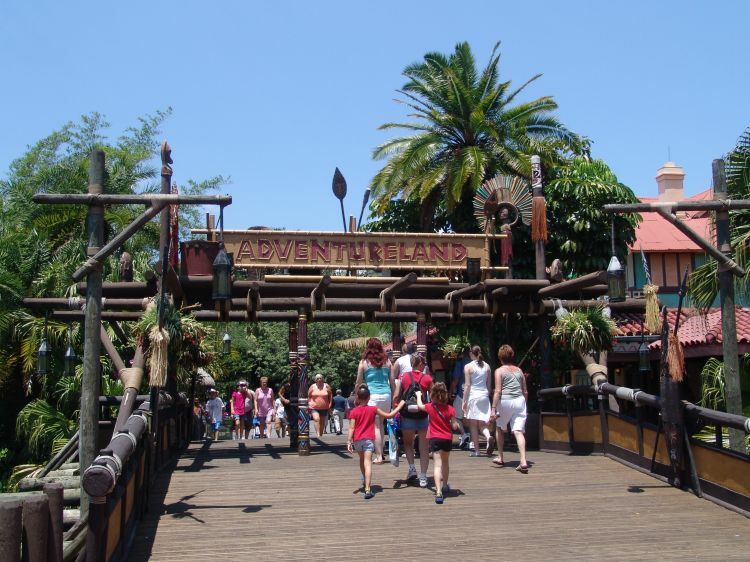 The Adventureland attractions in Disneyland and Walt Disney World are very similar. 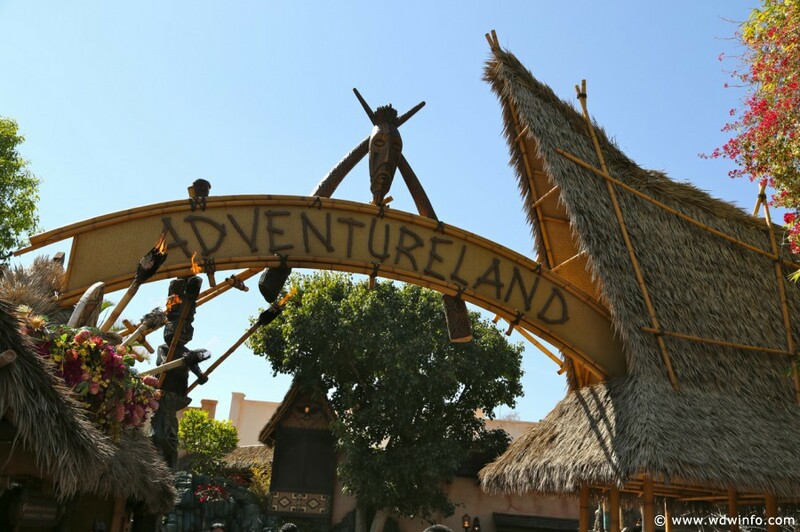 Adventureland was originally inspired by Walt’s True Life Adventure series of films. The Disneyland Adventureland stays in that jungle realm while the Adventureland in the Magic Kingdom includes not only the Jungle but the Middle East and the Caribbean as well. 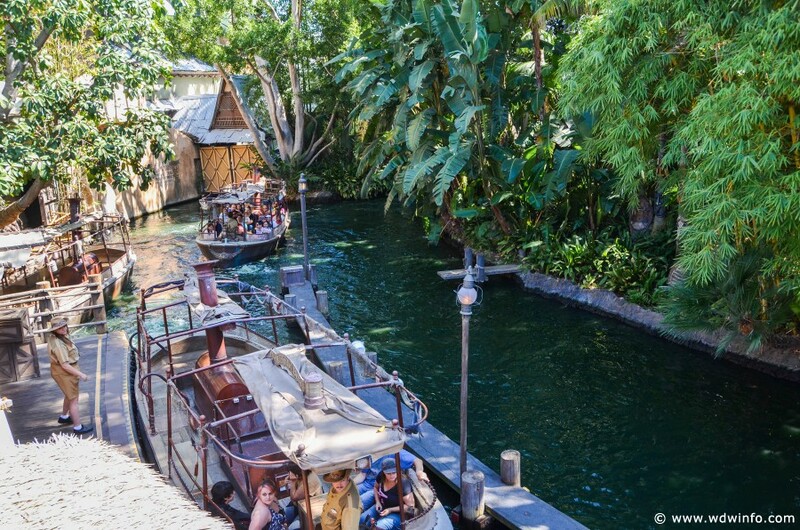 In Disneyland’s Jungle Cruise you are in California, so I would say that the chances of you getting a good skipper are higher with the prevalence of actors out there. I only rode the Jungle Cruise in Disneyland once though, so that is just an observation based off one skipper. Another thing is that the gun in Disneyland actually fires, which took me by surprise. There are also piranhas in the Disneyland one which is another nice element. The Jungle Cruise remains an attraction where the quality is determined by the skipper more than the attraction itself. If I had to choose though, I would go with the Disneyland one over the Magic Kingdom version, mainly because it is basically the same ride but you don’t have to worry about the overly humid Florida heat! When Walt Disney went to New Orleans one year he found in a shop a mechanical bird. He bought the bird and took it back to his imagineers, they took it apart and found out how it worked. 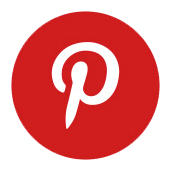 The imagineers were able to learn how it worked and improve it. The audio animatronic was born! Walt always said that, “it was all started by a mouse.” As far as theme parks and animatronics are concerned, it was all started by a bird! Without the Tiki Room birds, animatronics such as Elsa or the Shaman in Na’vi River Journey would never have come to fruition. 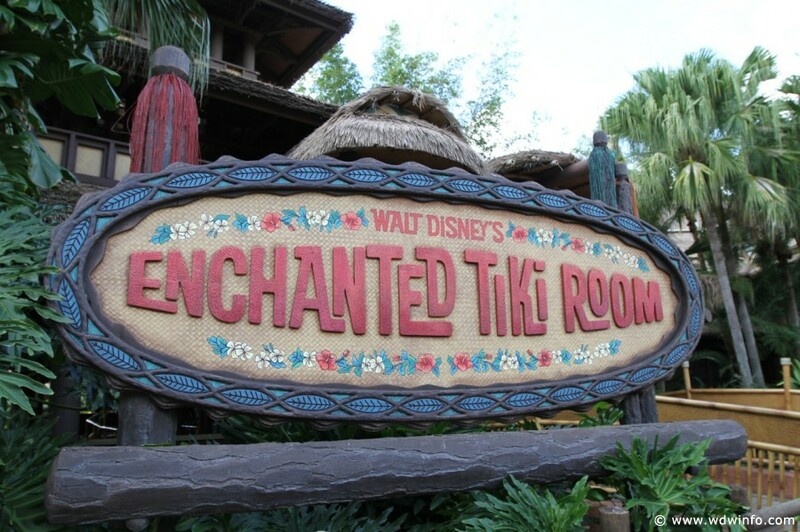 The Tiki Room in both parks is almost exactly the same. The pre-shows are completely different, but to be honest I did not see the pre-show at Disneyland. The Magic Kingdom version of the Tiki Room is more condensed and edited down, and there is no fountain scene in the Magic Kingdom. There is a certain charm in the Disneyland version, knowing that the Tiki Room birds were the first animatronics ever created and they were created at the Disneyland version. The difficult thing about comparing the Adventurelands is just how similar the attractions are. There are tiny differences here but mostly the attractions are the same. The overall land review then comes down to the feeling of the land itself. Overall, while Disneyland’s Adventureland has Indiana Jones, which is a fantastic ride, and all the Magic Kingdom has in its place is the Aladdin Flying Carpets, the Adventureland at the Magic Kingdom is my choice. I like how much bigger Adventureland is in the Magic Kingdom, I love the Caribbean feel and the awesome interactive Pirate Adventure at the Magic Kingdom’s Adventureland. That is such an incredible experience for anyone who loves Pirates of the Caribbean; it is free and you can get a prize! There is also a bigger Adventurer themed shopping area at the Magic Kingdom, and with multiple Dole Whip options you don’t have to wait all day to get one! While both lands are great, I have to go with the Magic Kingdom’s Adventureland.